Damon: 2x defending state champs. Plus returning one of the best QB's in the state, Mark Pierce. Enough said. Jason: 2-time defending champions bring back their three year starter at quarterback and some talented skill position players. Question is on the defense. Will be answered by Week 2 the earliest. Damon: Split games with NW last year. Returns one of the best lines in the state. Added a new qb, will it be enough to overtake NW. Jason: The most established team in the county when it comes to returning starters, but losing last year's starting quarterback will hurt a little bit. They have a tough game against Damascus Week 1. Damon: State finalist. Will rely heavily on Jake Funk; one of the best RB's in the state. The Swarmin Hornets should make another strong run to try and get back to the finals. Jason: Return the county's (maybe the state's) best player. Will they have a passing game to compliment their run game? 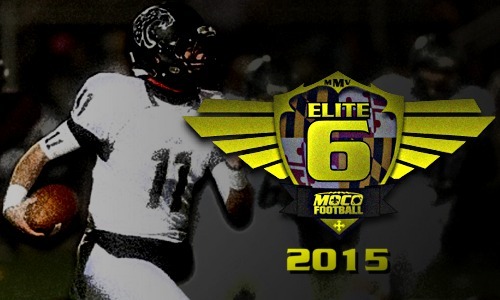 Early test comes Week 1 against QO. Damon: Returns one of the best backs in the county. Added a few extra pieces. Will it be enough to make the playoffs in a stacked 3A? Jason: New offensive scheme and transfer of a new qb. Will this be the year the Valley returns to playoff promise? Damon: Led by WVU commit WR Marcus Simms, the Warriors should make a playoff return in 2015. Jason: This is the year they need to step up. Often known as a tough team that plays teams tough, but I look for the Coyotes to step up and finally win some of the big ones this year. Home: Michael Cornejo, Matthew Miller, Kevin Grant, Damon Anderson, Terry Changuris, Jason Hamilton-Brown, Matthew Papuchis, Eric Goldwein (Washington Post), Brandy Simms (The Sentinel), Kyle McFadden (Maryland Sports Access).